Contact us when you are serious about buying or selling a fine Caproni Motorcycle. Contact Us to arrange a free and confidential valuation with a view to selling. The Caproni aeronautics factory was founded in 1908 after Dott. Ing. Giovanni Battista - Gianni - Caproni, Conte di Taliedo, graduated in Civil Engineering in Monaco, Electrotechnics in Liègi and Aeronautical Engineering in Paris. 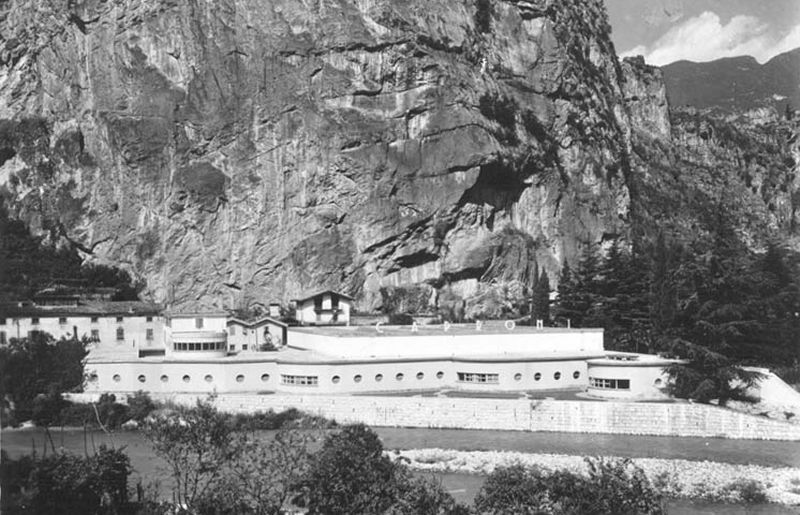 He came back to his hometown of Massone d'Arco in Italy to set up what was ultimately to become one of Italy's largest industrial groups of the interwar years, the Caproni group. After World War II, the victorious Allies prohibited wartime aircraft and other military hardware suppliers from remaining in their previous industries. 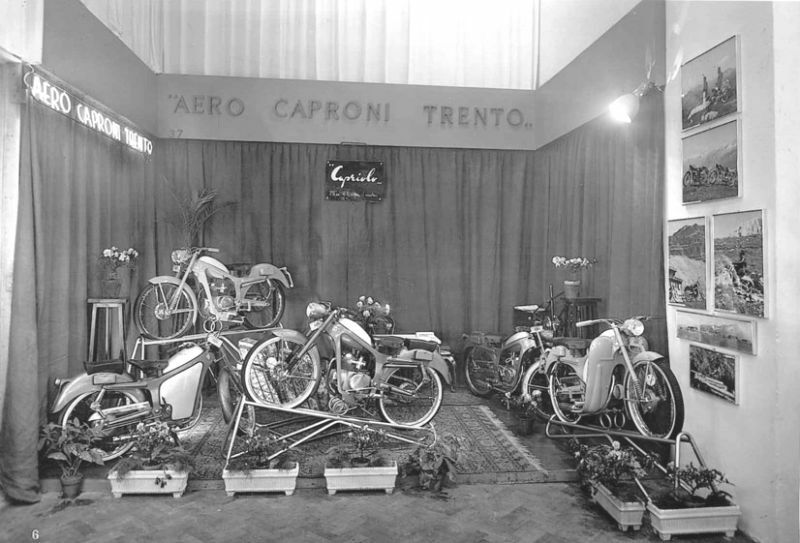 Count Caproni realized that motorcycles would be an excellent way to restart production. 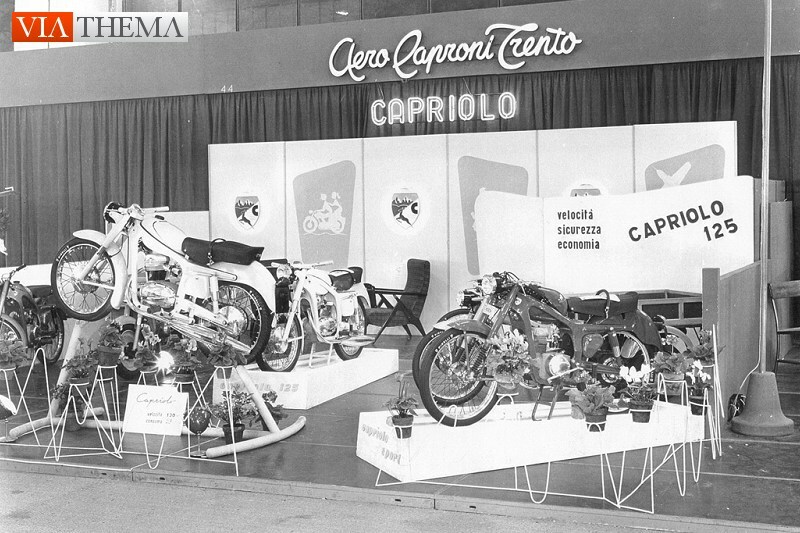 Hence he started the production of a lightweight motorcycle in the undamaged Arco di Trento factory and named it Capriolo. Capriolo is the name of a species of the small roe deer in Italian which can be found in the surrounding areas of the factory. 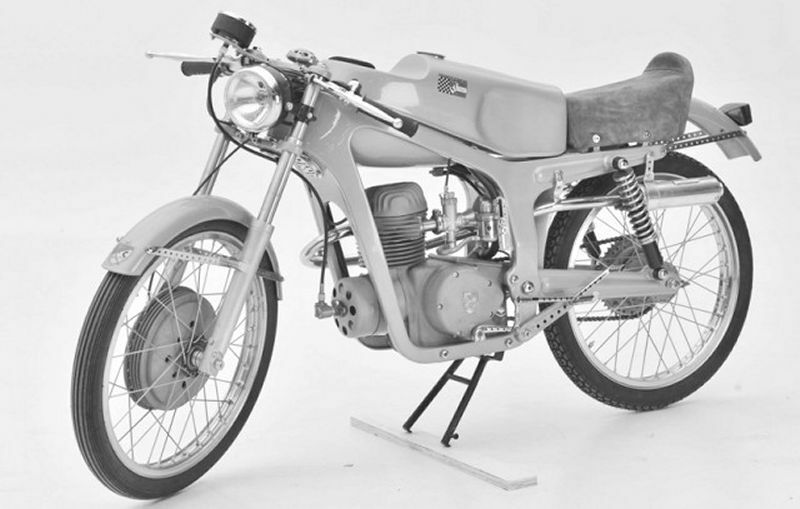 After a first 50 cc prototype based on the Ducati Cucciolo, production started with a 75cc and like Aermacchi, MV Agusta, Vespa and Ducati, Aero-Caproni would become one of several manufacturing concerns that switched to the production of motorcycles or scooters after WW2. 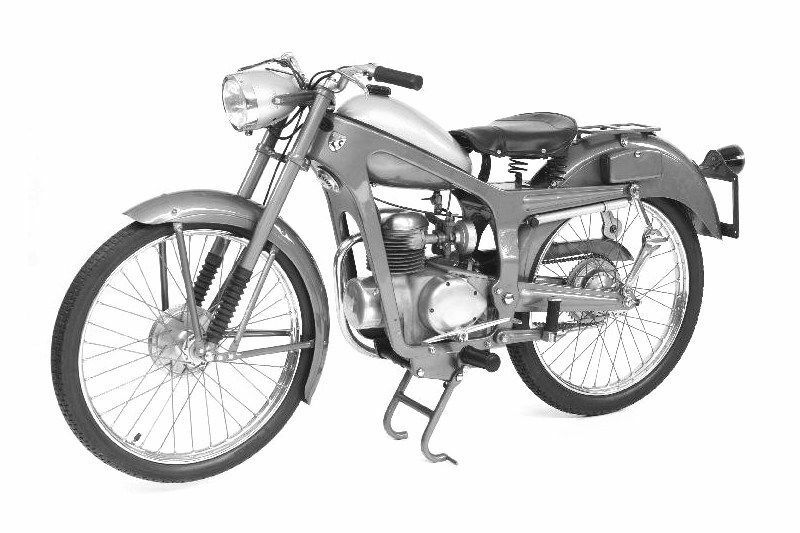 By 1951 they were producing sophisticated and elegant little four speed 75cc fourstrokes, later enlarged to 100cc and 125cc. Their more interesting machines included a horizontally opposed 149cc twin of 1955, and competition machines with 75cc engines using the Richard Küchen desmodromic system of the 1920s. The Capriolo 75 was notable for its use of a pressed-style frame and a four stroke engine with an overhead face cam type camshaft. Most memorable is the Capriolo 75 Corsa Bialbero constructed to participate in long distance racing with victories by Galliani in the 1954 edition of the Milano-Taranto as well as the Giro Motociclistico d'Italia of 1955. The Capriolo Cento50 with longitudinal flat twin engine, a layout not usually seen except on BMWs or BMW derivatives, was followed in 1955 by the more conventional Capriolo 125, which featured a single-cylinder overhead-camshaft engine. In 1957 the company went through a reorganisation and adopted the Aeromere name, a shortened form of Aero Meccanica Regionale. The company did well until the mid-1960s, when the advent of affordable cars like the Fiat 500 removed the economic barrier that kept many Italians relying on motorcycles for basic transportation. Aeromere was typically one of those brands that could not survive the transformation to a more export-oriented industry, with the US as the most important market. Motorcycle production ran from 1948 until 1964 when the factory in Trento was purchased by the Laverda group. Laverda installed a foundry and build caravans as well as aeroplanes. Caproni-Vizzola in Ticino was another subdivision of Aero Caproni who produced 200cc - 250cc engined machines from 1953 to 1959 with models named Cavilux and Cavimax, based on the NSU Lux and Max engines.